"Like" us on Facebook and "Share" with your friends! *Books will be available for purchase at the first class. Have you or a loved one been impacted by poor balance? Now is the time to address this balance problem, before a big fall occurs that could change your or their life! How do I know my balance is poor? What are the impacts of poor balance? I will explain how you can improve your balance through a program I have written called "Balance University". Also, I will discuss the statistics regarding balance as we get older and how falls can impact your life if balance problems are ignored. ​Chris will be presenting Balance University at the Fort Myers Beach Library. This event is free and "Walk-in's" are welcome! Those in attendance will receive a 10-day free trial to the Balance University VIP Members area, so if you can make it... Come check out this great lecture and learn the significance of "11 & 20". It has everything to do with how many seniors are treated from fall related injuries and/or die! ​For more information, click on the button below. Stay tuned for next semester's dates and times!! To register for these classes and/or lectures, go to the Renaissance Academy websity (Click the button below to go to the site to register). 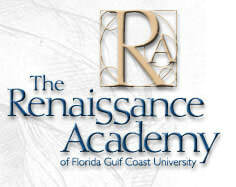 Stay tuned to learn the next round of Florida Blue lectures and class dates and times! You can register for all Florida Blue events by calling the location. I'll post the contact information once the dates and times have been confirmed. In the meantime, take a look at a few of the lectures and classes by visiting the Emeritus Health YouTube channel!... Or you can click to play the video to the right.